FORT WORTH, TX. January 29, 2008 – HTA Aviation, LP, a privately held woman owned small business entity provides IFF and GPS updates by replacing the APX-100 with APX-119 units, to provide enhanced mode S capability, and replacing the outdated TA-6 GPS with Trimble TA-12S units. Raytheon's APX-119 provides positive identification and increased safety, incorporating full Mk XII, Mode S and Mode 5 capabilities into a flexible open system architecture. 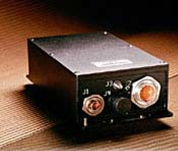 Raytheon has leveraged over 40 years of experience in Identification Friend or Foe (IFF), Mode S, TCAS, FAA/ Eurocontrol ATC solutions and IFF/ ATC to develop the AN/APX-119 IFF Digital Transponder. This combined Mk XII/Mode S/Mode 5 capability transponder enables military aircraft to operate seamlessly throughout international, civil, and military airspace, meeting all IFF and ATC requirements. The TA-12S is the next generation successor to the highly popular TA-12. The TA-12S incorporates the new military security architecture, known as SAASM, while maintaining all the civil certifications the TA-12 is known for.ssist with fuel quantity and flow rate system tests and diagnostics. HTA gives special thanks to Mr. Joe Dietrich, of Raytheon Company and Mr. Roy Scribner of Trimble for making these updates seamless in providing timely and accurate product support. Also a special thanks goes out to Landmark Aviation in Augusta, Georgia for their assistance in the installation process and Dr. John Seereiter and Mr. Jerome Jones, with the DoD international AIMS Program Office, for their support in this effort.